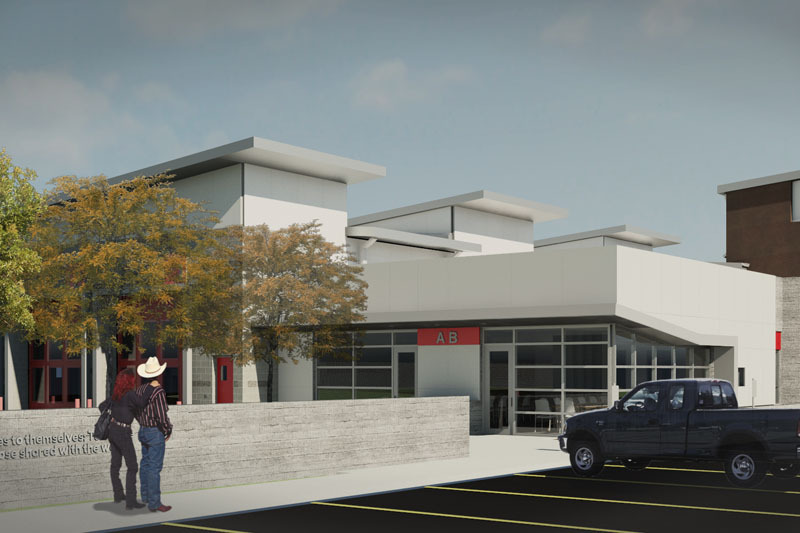 Hangar 41W, a joint venture between Hangar 41, LLC, and Vera Iconica Architecture, completed programming, design, and construction documents for a new 14,020 square foot state-of-the-art fire station and attached emergency response training facility for Sweetwater County Fire District #1 in north Rock Springs, Wyoming. 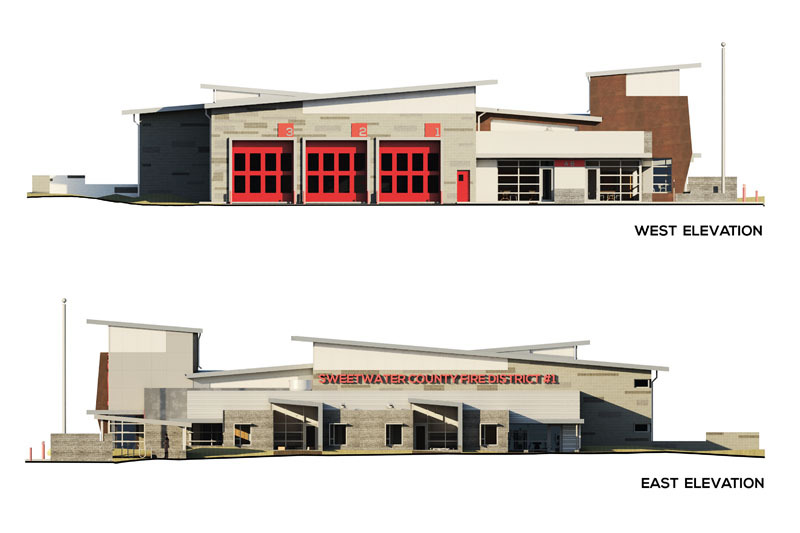 Shown here are images created during the design phases, during which time our team worked closely with the Fire Chief and user group in order to accommodate the group’s goals and wishes. 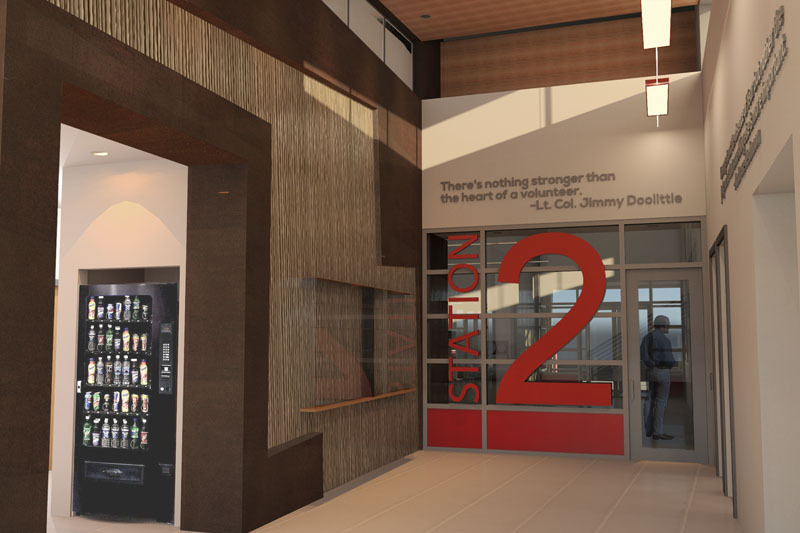 This station is unique in that it is pioneering a program that utilizes college dorm housing as an incentive to attract and retain volunteer fire fighters. 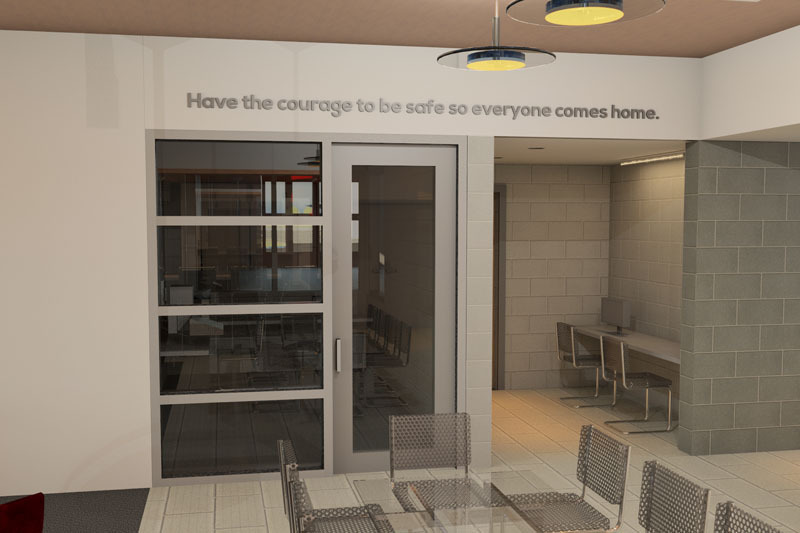 As such, the dorms are slightly further removed from the apparatus bay than typical “bunk rooms” to allow some privacy and separation for the students while off-duty. 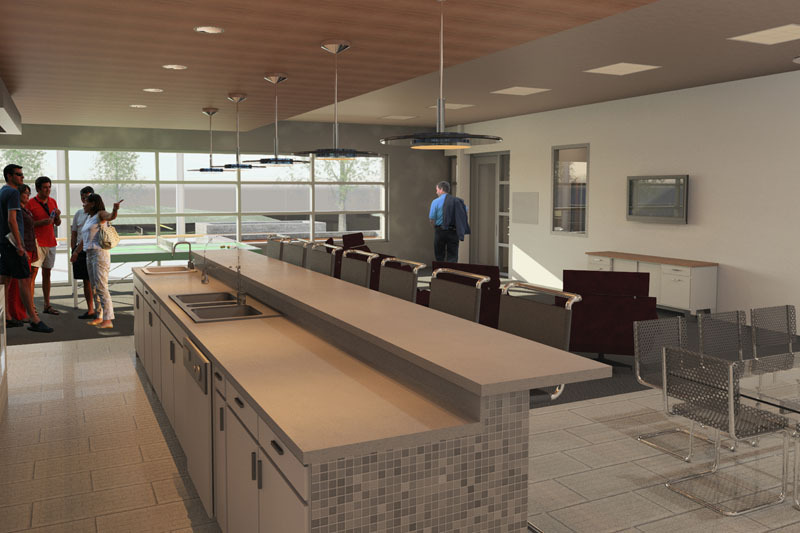 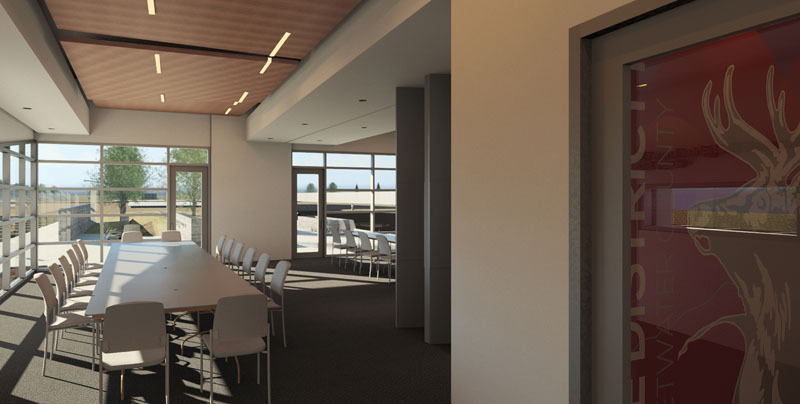 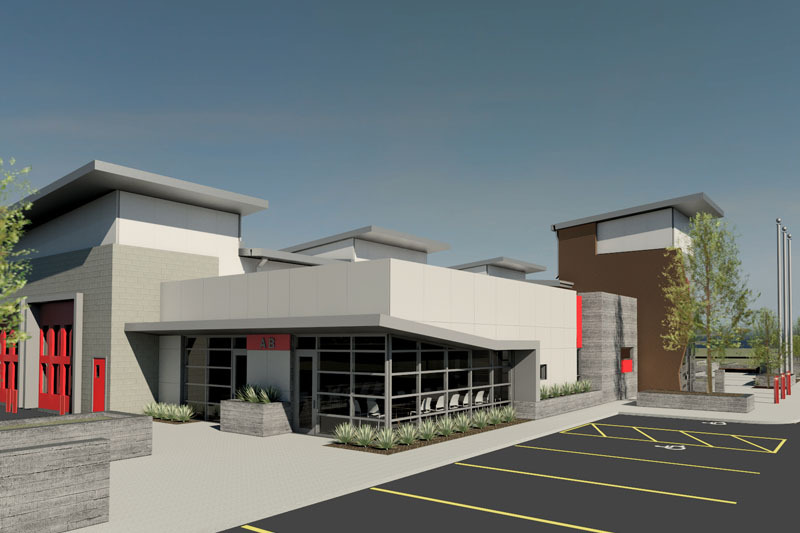 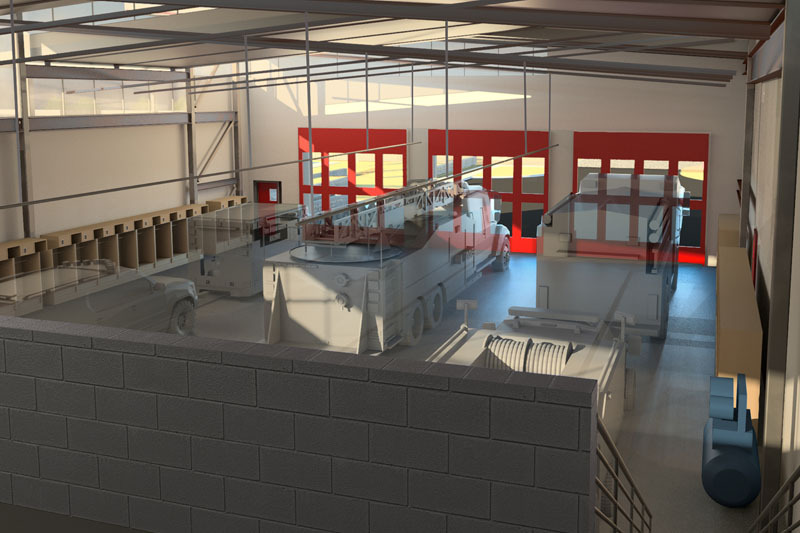 Although initially designed as a volunteer fire station, the ability to add two more bays, full-time bunks, more dorms and training classrooms has been considered and designed into the primary concepts and layout on the site. 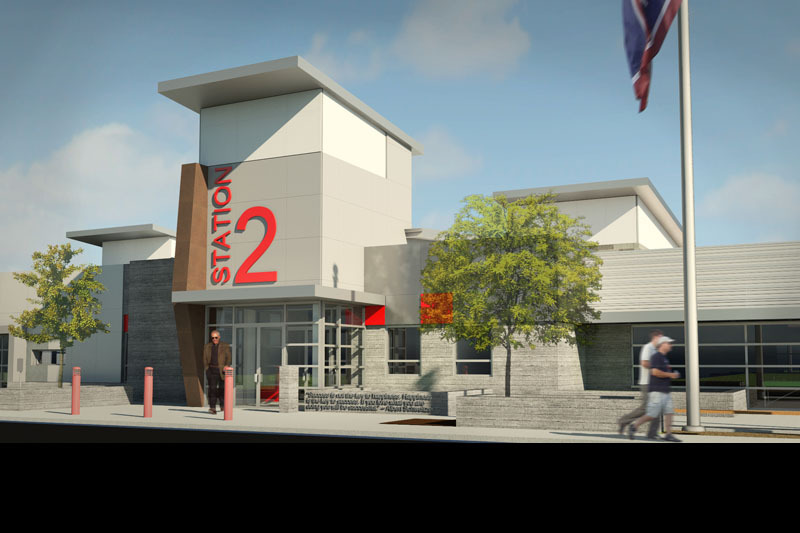 This station is slated to achieve LEED Silver upon completion of construction. 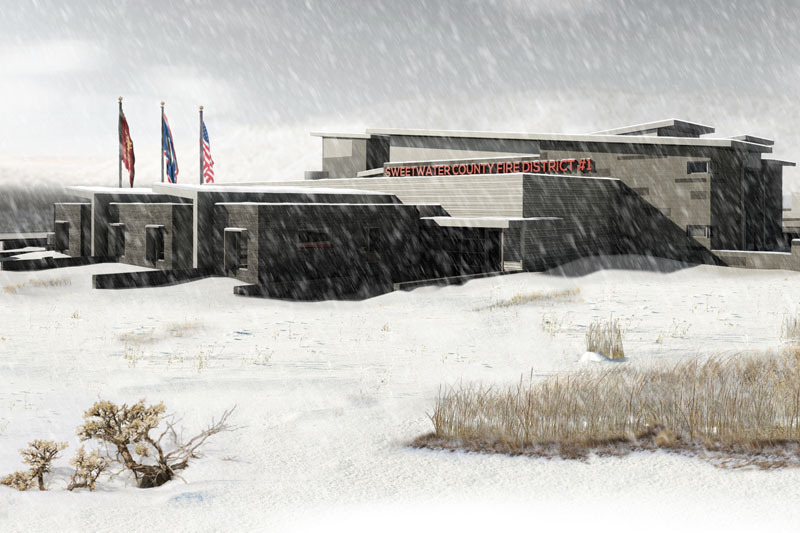 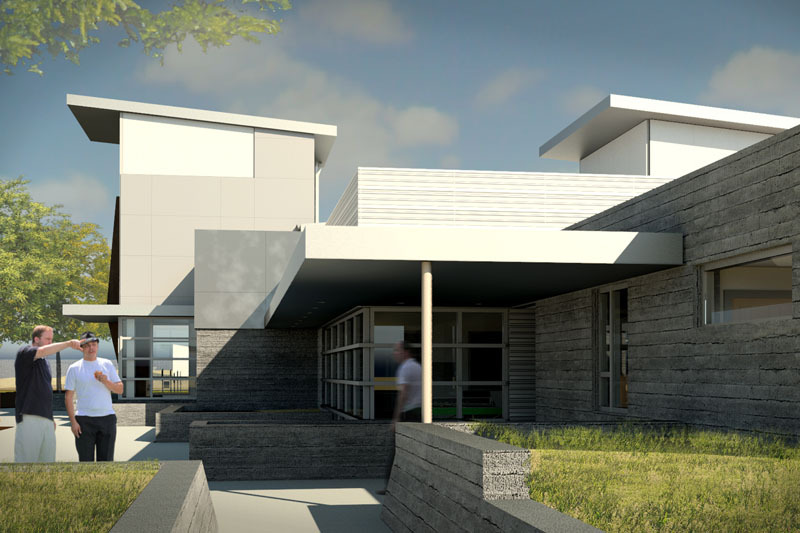 The county is currently raising funds for the project and has an expected construction start in June of 2016.